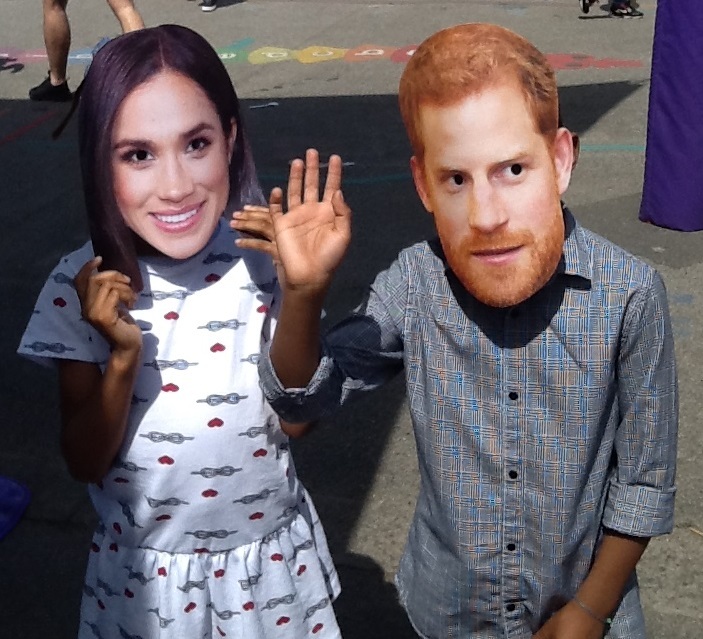 St. Dominic's Catholic Primary School | Picnic Lunch for Royal Wedding! Picnic Lunch for Royal Wedding! 22 May Picnic Lunch for Royal Wedding! ‘Harry’ and ‘Meghan’ drop in for a visit. 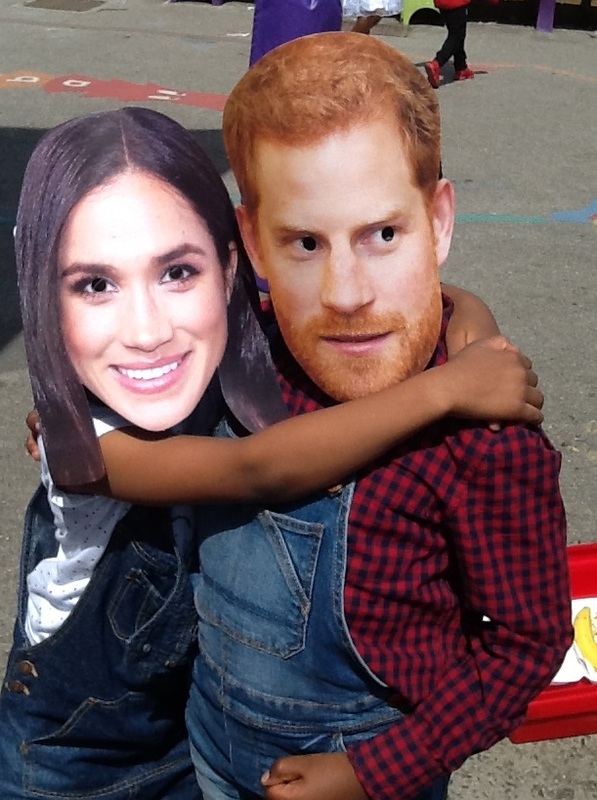 On Friday 18th May, the school celebrated the marriage of Prince Harry and Meghan Markle (now the Duke and Duchess of Sussex) with a wonderful picnic lunch which was thoroughly enjoyed by all. Our catering staff provided an amazing spread while the children lay on their blankets soaking up the sun as the music played. 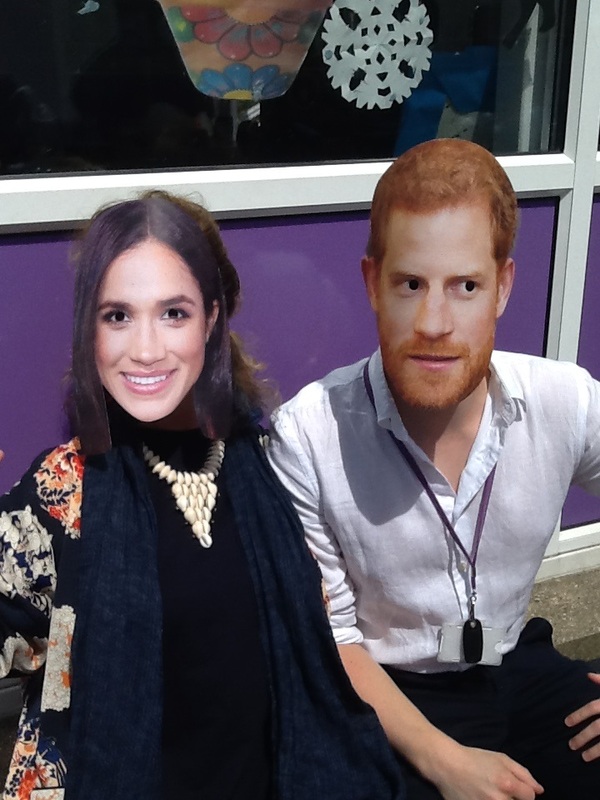 Below are a few pictures of ‘Harry’ and ‘Meghan’ making a visit!